FREE Simple Truth Tortilla Chips At Ralphs! 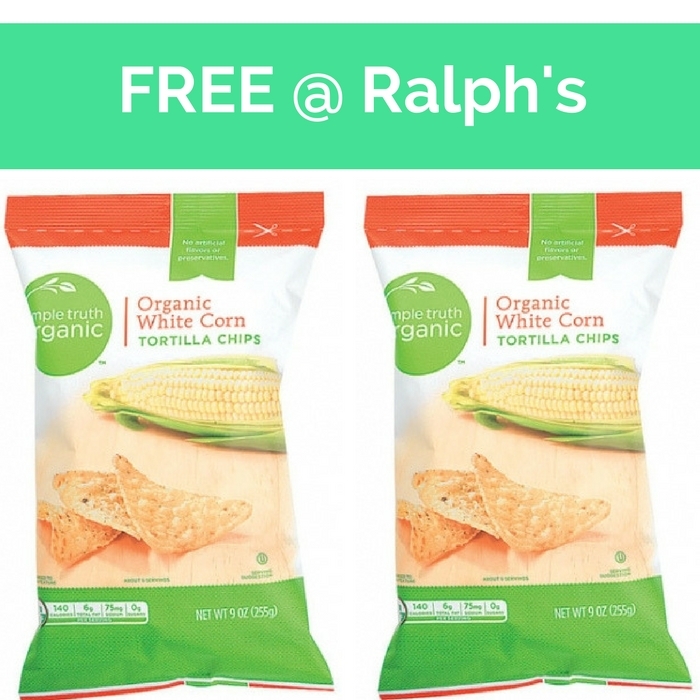 You are here: Home / FREEbies / FREE Simple Truth Tortilla Chips At Ralphs! On May 9, you can get a FREE Bag of Simple Truth Tortilla Chips at any Ralph’s stores by visiting their Facebook page and load this digital coupon! Coupon expires on May 9 so hurry and print it now!